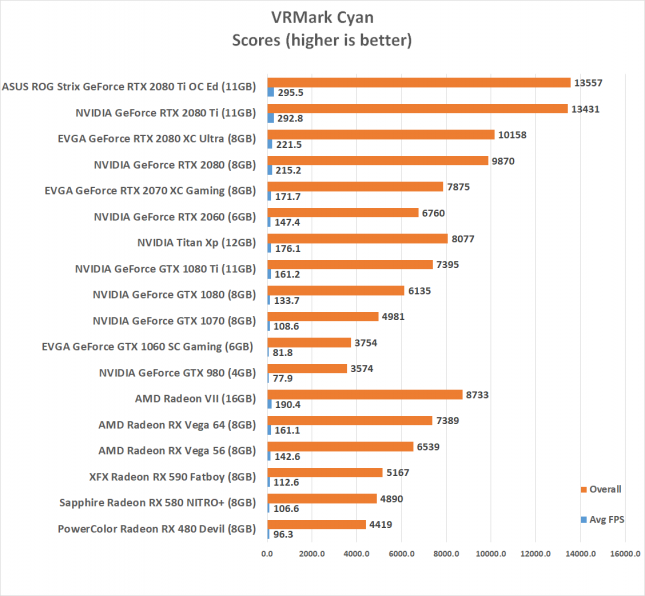 We used the Cyan Room to benchmark our cards as it is a DirectX 12 benchmark. 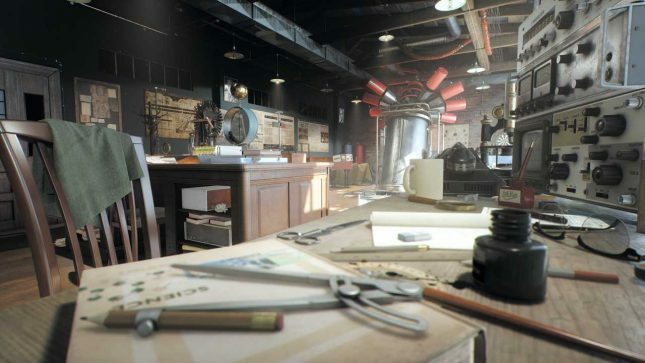 Sitting between the Orange and Blue Rooms, it features a large, complex scene and many eye-catching effects. Cyan Room shows how using an API with less overhead can help developers deliver impressive VR experiences even on modest PC systems. 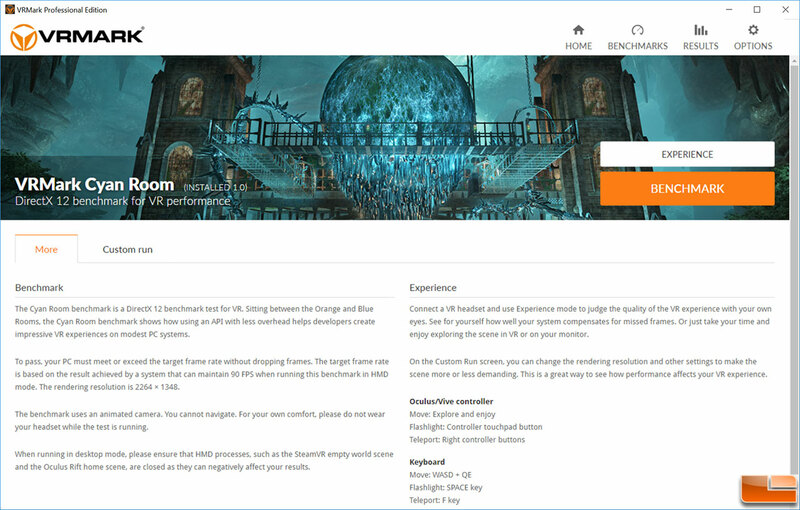 The target frame rate for the Cyan Room benchmark when running in desktop mode is 109 FPS. The rendering resolution is 2264 × 1348, which is 1132 × 1348 per eye. 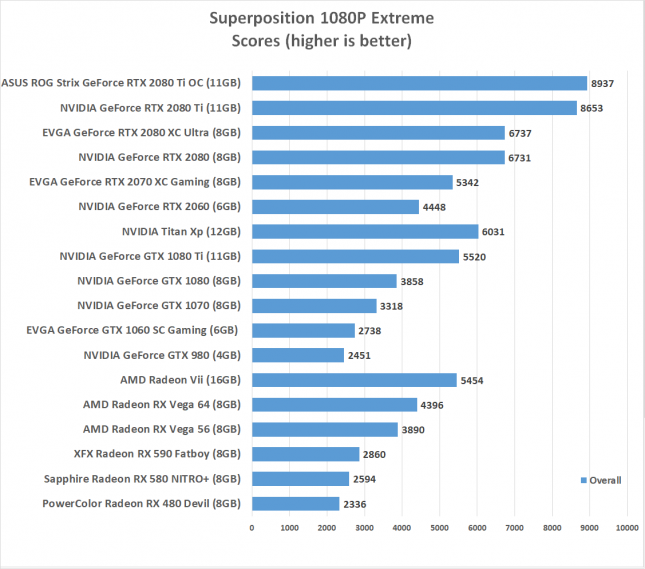 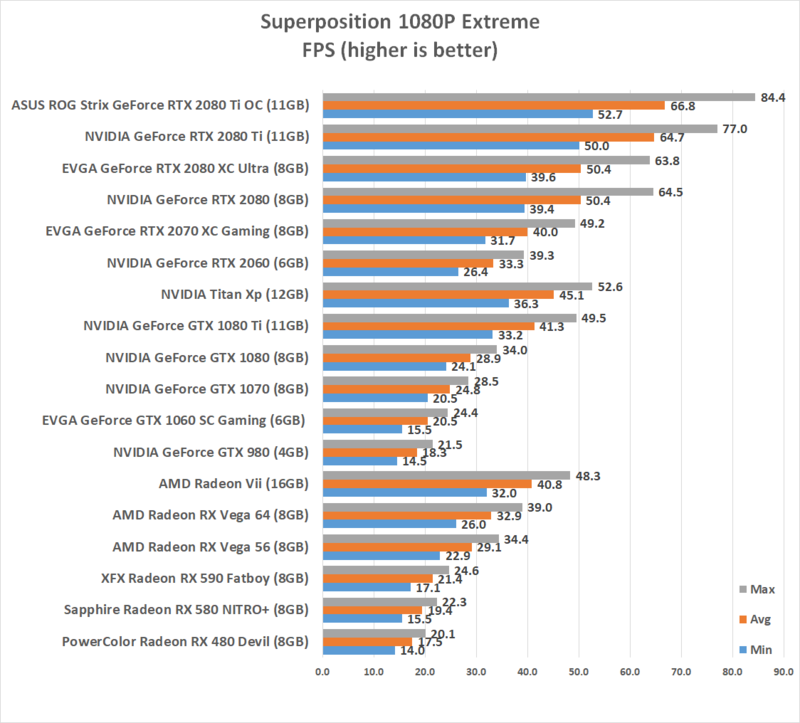 We ran the Superposition Benchmark performance test with the 1080P Extreme preset. The Radeon VII completed the 1080P Extreme preset in Superposition with a score of 5,454 points. 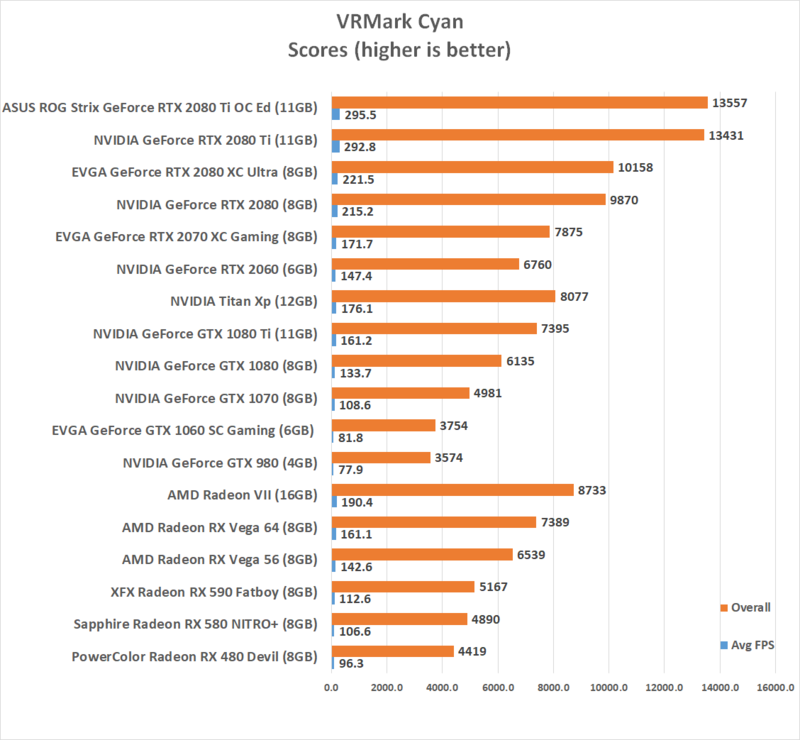 That is a strong finish that puts it ahead of the GTX 1080 and RTX 2070, but behind the GTX 1080 Ti and RTX 2080 models. Here are the FPS results from the benchmark for those that would like more details. 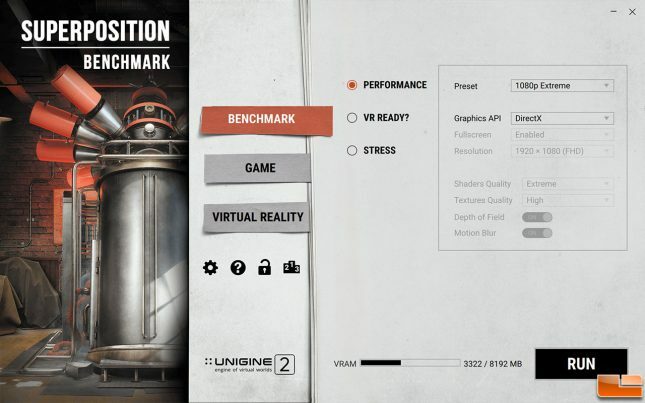 The Radeon VII was able to average 4.08 FPS and that is by far better than any other card from AMD.